Innokin iTaste MVP4.0 mod is a new mod of iTaste series. 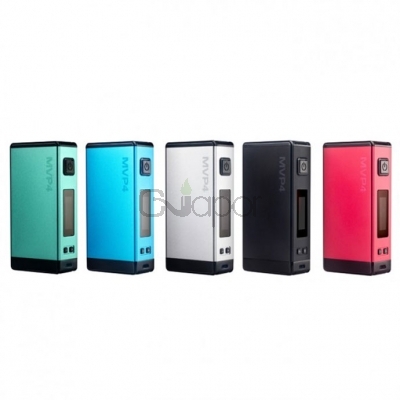 It features 4500mah large built-in capacity and can fire up to 100W power. It also can charge your mobile phone and other portable eletronics. Powered by an AETHON microchip, the MVP4.0 supports TC mode and applys with SS/Ti/Ni wires. Comes with many protections the mod is more safe. On the side of the mod, it has large OLED screen to display important information. There are five colors to provide you choose.